Even though Google Glass seems like the most cutting-edge technology an early adopter can own, the actual system-on-a-chip that powers the spectacles is in fact two years old. This surprising discovery was made by Android developer and new Glass owner Jay Lee, who dissected the new wearable computer specs this week. He used the same development tools designed for Android phones and tablets, which makes the Ice Cream Sandwich-powered glasses easy to root, according to developers. Lee found that Glass operates using a 2011-era OMAP 4430 designed by Texas Instruments, and thinks that it's a dual-core processor backed up by 1GB of RAM. "There's 682 MB of RAM [available to developers]," he reported in a Google+ post picked up by Ars Technica. "Kernel messages lead me to believe it's actually 1GB but some is being used for other hardware purposes." The OMAP 4430 chip and estimated 1GB RAM are joined by 16GB of flash memory and 5MP camera. 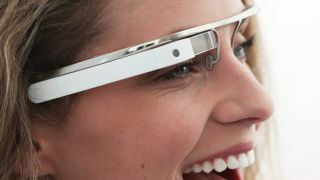 Lee also confirmed that the Google Glass runs Android 4.0.4. To put the Texas Instruments OMAP 4430 into perspective, it's the same system-on-a-chip that runs the Samsung Galaxy S2 and Galaxy Tab 2. Since the Samsung Galaxy S4 just released, Google Glass' specs might be seen as a little dated. However, Lee noted that "with innovative products like Glass, the experience is more important than the hardware specs." We'll see what changes Google makes to the fashionable hardware before customers can get their hands on them in a "year-ish" time, which we're fairly confident is a given.